Geeking out a bit today whilst off from work sick. 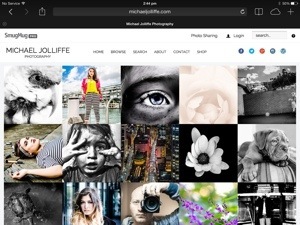 I am now the proud owner of http://www.michaeljolliffe.com ! And have spent the last few hours registering and setting it up to redirect to my smugmug site with masking. Also, have managed to imbed my WordPress blog into my site. With no real experience in web sites, hosting and the like, I am pretty ecstatic with the outcome. All started with google plus approving my use of http://www.google.com/+michaeljolliffe to link to my google plus profile and Martin Bailey’s reply to my comments that it is hard when other people have already got your name as a domain. Martin bailey .com is registered but not in use so he is understandably annoyed. He replied that I should not be discouraged as mine is available! I have checked previously but it seems after a domain history search that my domain had become available 3 months ago! Lucky! Welcome to my blog! I have been working on developing some personal projects lately that I hope will kick off shortly. I am brainstorming ideas for single pictures, sketching the image that i want and noting all the details that i want to include, the hard part is yet to come with finding locations, organising models, props and time. Recently I have worked with Aleena to create some content for her fashion blog at www.iamaleena.blogspot.com.au and hopefully this will turn into an ongoing booking!